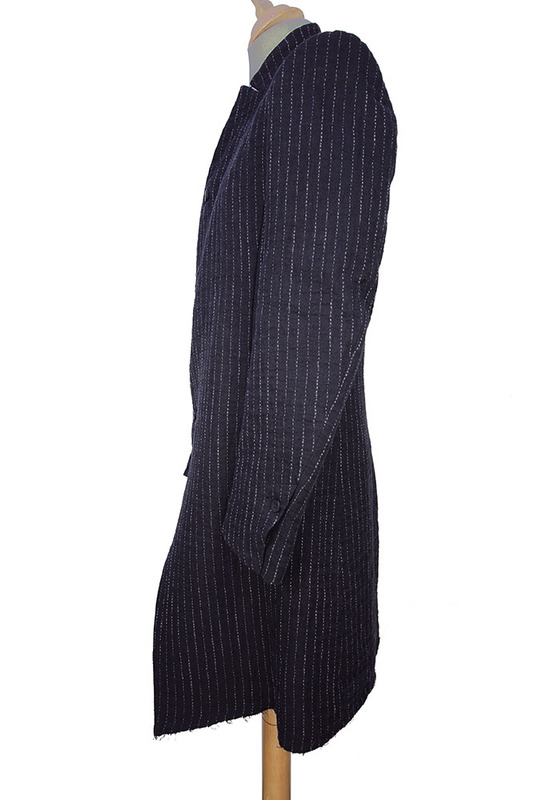 Masnada 'Man' Coat in beautiful black linen/cotton mix textured fabric with pinstripe. 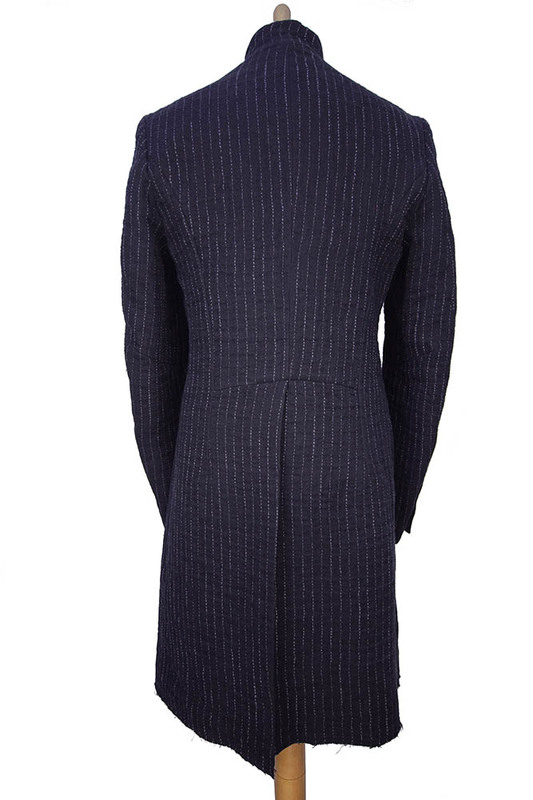 Small upright collar with notches. 4 Button fastening. 2 side pockets hidden in side seams. Single button cuff with long opening. Long vent at rear. Fully lined in black cotton. Single pocket inside. This stunning jacket matches the trousers in the same fabric to make an awesome outfit. This is just about as good as it gets, wonderful!